Psychic mediumship readings seminar with Angelina Diana. Finding peace and connecting to love by understanding the Energy Around you. Angelina has had the opportunity to use her past media experience and bring her on air readings, messages of hope and spiritual teachings to television and radio. 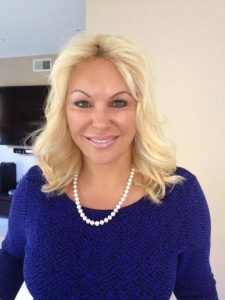 She is the resident psychic medium on Courtney and Kiss in the morning on 95.7 FM since 2005 She has the honor of being on Better Connecticut WFSB Channel 3 (CBS), FOX 61, WTNH 8 (ABC) and Channel 30 (NBC) in Connecticut. She has also made other TV appearances in Massachusetts WGGB Channel 40 (ABC) and WWLP Mass Appeal Channel 22 ( NBC) and Arizona. She also produced and host her Cable Access show on Cox Cable PA15 shown throughout the Connecticut area.